Milan in Italy ranks high on the list of Europe’s coolest cities and is a beautiful and exciting place to visit. Rich in history, culture and iconic Italian food, Milan makes an ideal holiday destination and should be visited at least once in a lifetime. One of the world’s largest cathedrals, da Vinci’s masterpiece, luxury boutiques and charming neighborhoods are only some of the long series of attractions you’re going to find in this vibrant city. If you’re planning a trip to one of the world’s fashion capitals check out this article where I’m sharing my top things to do in Milan – put your designer sunglasses on and get ready for an adventure. You wouldn’t come to Milan without paying a visit to its most iconic and impressive landmark – Duomo Cathedral. It’s hard not to get caught up in the beauty of this architectural marvel in a Gothic style that’s been around for the last 600 years. Take some time to discover the magnificent interior but make sure to go all the way up to the roof terrace from where you’ll get to admire the whole city from a bird’s eye view. That’s also where the golden statue of the Madonnina from 1774 is located – a symbol and a protector of Milan and its citizens. Insider Tip: Do you want to “bring” a REALLY unique souvenir back home? You can actually “adopt” one of the 135 spires and, by donating the money, you’ll support its restoration and maintenance. Right next to the Milan Cathedral there is another recognizable landmark of the city – the Galleria Vittorio Emanuele II. The building dates back to the 19th century but it underwent a major restoration after a bombing raid during the II World War turned it into rubble. The Galleria Vittorio Emanuele II is filled with high-end stores, stylish cafes and renowned and costly restaurants that will transport you into a world of luxury and opulence. If you take a walk around the Galleria you’ll very likely notice a crowd of people twisting in the bull portrait mosaic on the floor. Legend has it that repeating the process three times on your right foot brings years of luck and prosperity – there’s nothing to lose by trying. Teatro alla Scala or La Scala as Italians call it is a world-renowned opera house that should be on the top of your list of things to do in Milan. It dates back to 1778 and its stages have welcomed the greatest international and Italian artists ever since. If you’re staying in Milan for a few days I suggest booking a ticket to one of the concerts – you’ll have to plan well in advance because the tickets sell out really quickly but it’s an unforgettable experience definitely worth the trouble. You don’t have to be an expert in classical music to truly appreciate and enjoy this great Opera House. Not many cities in the world give you a chance to admire the 15th-century masterpiece of one of the most important artists of the Renaissance – Leonardo da Vinci. The Last Supper which is located in the Convent of Santa Maria delle Grazie church is undoubtedly one of the main attractions in Milan. You have to book the tickets weeks or even months in advance as this is a very popular tourist destination and it’s basically impossible to get in without a reservation. Every corner in Milan is full of history and as soon as you exit the refectory where the mural is, you’ll have another UNESCO World Heritage Site right in front of your eyes – the Santa Maria delle Grazie church. This Gothic building is filled with mosaics and chapels and it has a unique and peaceful atmosphere. Of course, make sure to dress appropriately and respect the liturgical services. If you love to shop one of the best spots in Milan to do so is Corso Buenos Aires, with around 350 shops, stores, and boutiques waiting for you. This long shopping street is visited by hundreds of thousands of people every day and is comparable to 5th Avenue in New York City. You will find all of the high-street fashion stores in Corso Buenos Aires but it’s still possible to spot some authentic/family-run Italian shops that sell handmade goods bags and shoes. Our list of best things to do in Milan wouldn’t be complete without a good shopping session in the Italian fashion capital. Diet and Italy don’t go well together so just forget about counting calories for the time of your stay in Milan and indulge in the mouthwatering cuisine of this boot-shaped country. One of the most iconic places in Milan serving pizza by the slice since 1953 is Spontini – a casual location with delicious food. They use a wood-fired-oven to prepare the pizza which combined with a secret formula make a perfect lunch or snack for all the busy locals working nearby. You can sit at the table or enjoy your slice of pizza while standing at the counter – either way it’s simply exquisite. No visit to Milan would be complete without a stroll around the Sforza Castle – an amazing construction from the 15th century. When it comes to things to do in Milan this landmark holds a huge amount of absorbing attractions and you could easily spend an entire there. In fact, starting from art and culture, there is a wide array of museums available and I think it’s a very good idea to visit at least one or two of them. Depending on your interest you can choose between the Museum of Ancient Art, the Picture Gallery, the Egyptian Museum, the Museum of Decorative Arts and my personal favorite – the Museum of Musical Instruments with a wide collection of instruments from centuries ago. Some of the most important libraries of the city are also located there. In the evening the Castle becomes brightly lit which makes it even more beautiful and romantic. No matter if you’re traveling with your other half or with a group of friends, Milan is a fantastic city for late night partying. The typical night out in Milan usually starts with a happy hour at around 6 PM. If you’re a first-time visitor I highly recommend heading to Navigli district for the ultimate experience – this area is filled with countless watering-holes to choose from. When it comes to the nightclubs some of the most famous Milanese locations include Hollywood, Tocqueville 13, Shocking, Pulp Club and Loolapaloosa just to name a few – all of these are located in the Corso Garibaldi/Corso Como area. Other fun places to take into the consideration are Old Fashion, Magazzini Generali and Gattopardo Cafè. The nightlife scene in Milan is undoubtedly very impressive and you will enjoy the variety of options available. After crossing out most of the amazing things to do in Milan you might feel a bit tired and overwhelmed and feel the need to kick your feet up and relax a little bit. 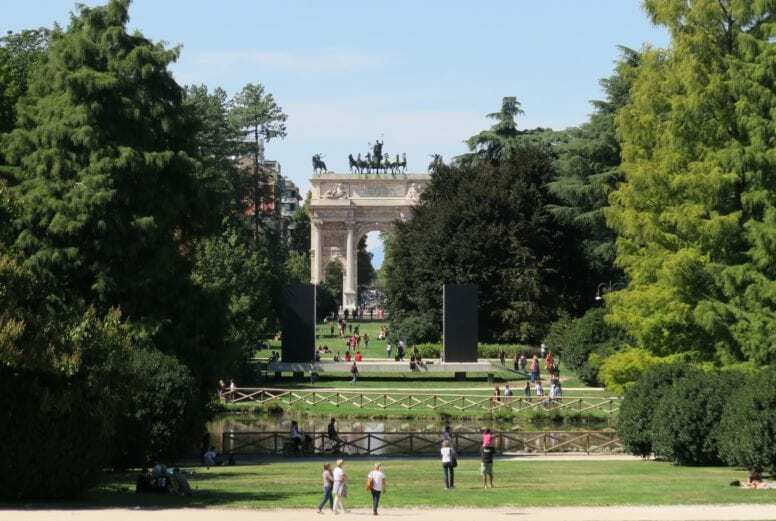 Parco Sempione – Milan’s most famous park is a favorite spot among nature loving locals and a perfect place to just sit back and do nothing. In summer months, when the heat wave is in full swing, Parco Sempione gets filled with people looking for a pleasant shade of the trees. The Park has a playground for the kids available, a few small eateries, an aquarium and a library. Brera is the most “artistic” neighborhood in Milan, an elegant district filled with amazing art, culture, and architecture. The famous art gallery – Pinacoteca di Brera is located there and so is the Brera Academy of Fine Arts. There are many art-related events, shows, and exhibitions going on in Brera every day, how many of them you’ll attend will depend mainly on your time and interest. Also, every third Sunday of the month, except August, via Brera, and via Fiori Chiari come alive with antique stalls filled with jewels, worked glass and other fantastic objects that will make a wonderful and meaningful souvenir. This local market is irresistibly atmospheric and will give you a glimpse of the authentic Italian lifestyle. It’s easy to fall in love with the romantic alleys of this neighborhood where each and every corner seems to have a story to tell. Make sure to end your day in Brera with a classic Italian “aperitivo” in one of the local bars, soak in the amazing atmosphere and enjoy people watching while sipping on a glass of fine Italian wine. As mentioned above, Brera is home to one of the most incredible galleries in Italy – Pinacoteca di Brera. If you want to dive into the world of art and see renowned paintings that made history then you should put this place on the top of your list of things to do in Milan. Although it was founded in 1776, the history of Pinacoteca di Brera goes all the way back to the 16th century when it served as a convent. Nowadays, the Brera Art Gallery hosts collections and exhibitions that include some of the greatest art masterpieces in the world. In fact, you’ll have a chance to see paintings such as The Kiss by Francesco Hayez, Discovery of the Body of Saint Mark by Jacopo Robusti or Pietà by Giovanni Bellini just to name a few. Pinacoteca di Brera is also where many interesting cultural events are held. There are music nights, presentations, exhibitions of all kinds and also the so-called dialogues where two works are compared. Brera Art Gallery is a fascinating place filled with exceptional art pieces and no matter if you’re into art or not, a stop here is necessary during your time in Milan, Italy. When you’re traveling to Milan, a visit to Basilica Sant’Ambrogio comes highly recommended – after all it’s not every day you get to admire an ancient church from the 4th century. The structure is dedicated to its founder – St. Ambrose who was an important bishop of Milan and nowadays a patron saint of the city. It is quite easy to spot this church from far away because of the two red brick bell towers situated on the sides. A beautiful atrium leads to the entrance of Basilica and once inside you can soak in the mystic atmosphere of this place. Basilica of Sant’Ambrogio is home to some precious artifacts and centuries-old artworks. In the crypt, located under the high altar, there are the remains of three saints: Gervasius, Protasius and of course of Ambrose as well. Opening Hours: From Monday to Saturday from 10.00am to 12.00pm and from 2.30pm to 6.00pm, on Sundays from 3.00pm to 5.00pm (before entering it’s best to verify that there are no liturgies in progress). Another important point of interest in the capital of Lombardy is certainly the Royal Palace of Milan. This neoclassical structure from the 18th century is situated just a few steps from the Duomo Cathedral and features a wide choice of interesting exhibitions. Before becoming what it is today, the Royal Palace of Milan served as a seat of government. If you want to immerse yourself in the fascinating world of art, see beautiful masterpieces and admire incredible displays then you should spend at least a couple of hours in this place. You can walk through the grand halls all by yourself or with a guided tour, whatever you decide to do we’re sure you’re going to have an amazing time in the Royal Palace of Milan. Football is without a doubt a national sport of Italy and an inherent part of their life and culture. Italians love football, they watch it, talk about it, argue about it and of course play it as well. When you come to Milan you can experience all of this firsthand by going to see a game at the San Siro Stadium. San Siro Stadium (Giuseppe Meazza Stadium) is the largest football stadium in Italy and it’s been hosting games since 1926. If AC Milan or Internazionale is your favorite team you can watch them play in their home town and afterward visit a museum dedicated to these two groups where you’ll learn more about their key personalities. You can also get a guided tour during which you’ll have a chance to see the changing rooms, sidelines, and stands – a real treat for all the football enthusiasts out there. Those of you who want to buy a special souvenir can head to the San Siro Store which is filled with all types of clothing and accessories with logos of your preferred team. 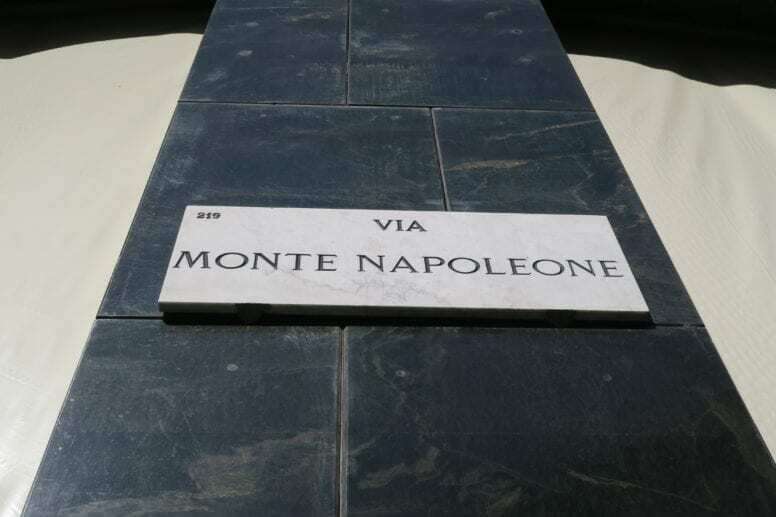 Via Monte Napoleone together with via Della Spiga, via Manzoni and Corso Venezia is part of the famous fashion district in Milan – Quadrilatero della moda. There is no better place in the entire city than this to literally shop til you drop in all the luxury stores available. This renowned shopping street attracts a huge amount of people every day and is considered a fun attraction for tourists as well. 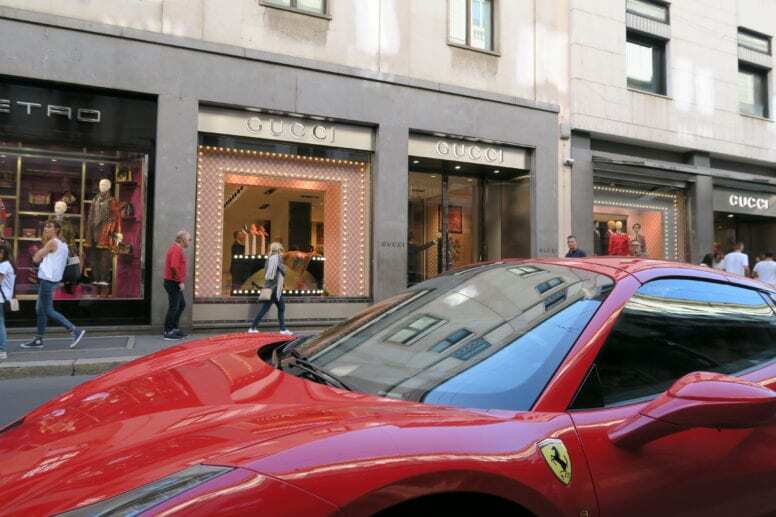 The most important Italian and international brands have their shops and boutiques in via Monte Napoleone. In fact, you’ll come across names such as Hermès, Gucci, Armani, Versace, Yves Saint Laurent, Ralph Lauren, Prada, Narciso Rodriguez and much much more. And if you get hungry and want to take a short break from all the shopping make sure to stop by at the historical pasticceria Cova. 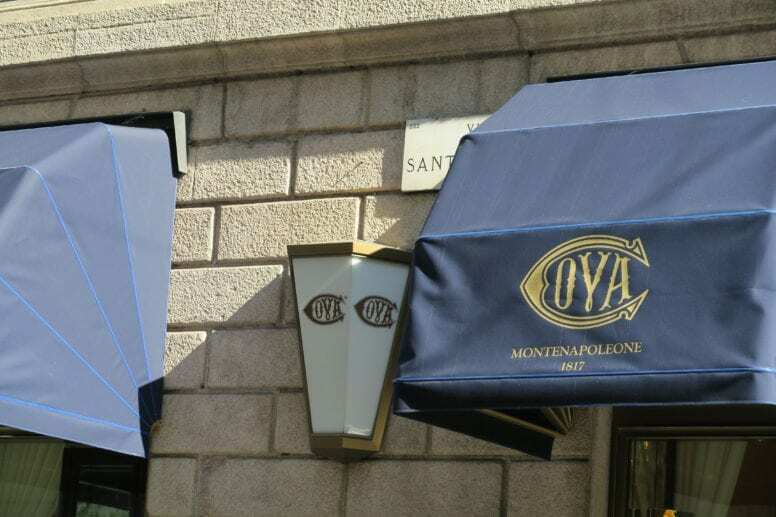 This elegant place offers some of the most delicious cakes and pastries in Milan and is a perfect location for a quick snack in the heart of the city. One of the most emblematic points of interest and also a must-see on our list of things to do in Milan is Arco della Pace – a neoclassical arch from 1838 dedicated to peace between the European nations. It is located at the beginning of Corso Sempione which is one of the most important streets in Milan an just a few steps from Sempione Park we’ve mentioned before. Architecture enthusiasts will find Arco della Pace particularly appealing since it features many beautiful works and sculptures. There are the well-visible horses on the top of the arch and a multitude of statues and reliefs representing important historical events. Another interesting fact regarding this place is that there are the names of victims of the two world wars engraved above and on the sides of the columns. Not far from Arco della Pace lies La Triennale – a perfect place for anyone who loves art, fashion, architecture, and design. There are always many absorbing exhibits held in this museum that will inspire you and ignite your inner creativity. La Triennale is also home to Teatro dell’Arte – one of the most important theaters in Milan. You might be surprised to learn that this is one of the places you should visit if you’re traveling with children. In fact, La Triennale offers a range of fun programs for young visitors that aim at awaking their curiosity for the world of art. There is even a special space dedicated to children where they can take part in workshops, exhibitions, and presentations while their parents explore the museum. If you’re planning to spend a few days in Milan, taking a day trip to one of the nearby cities comes highly recommended. Many beautiful and historical places are located only a short distance away which means you’ll get a chance to explore a whole new city with minimal effort. Less than 30 miles away lies Pavia – a fascinating place and home to an ancient university from the 14th century. Como, which I believe doesn’t need to be introduced to anyone, is also located only a short train trip away from Milan. 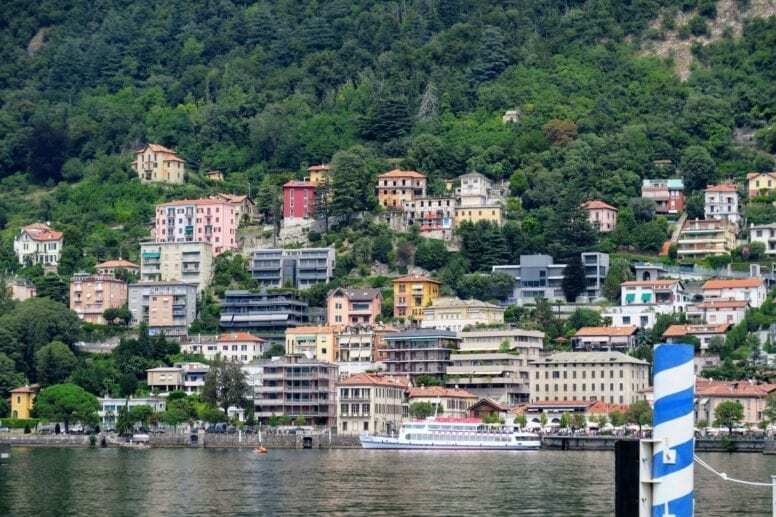 If you want to spend some time soaking in the amazing views of the lake and of the mountains you should definitely include the city of Como on your travel itinerary. For those of you who want to explore the area a bit more, we recommend our guide to all of the fun things to do in Lake Como. Formula One enthusiasts will be thrilled to discover that Monza is situated only 10 miles northeast from Milan. 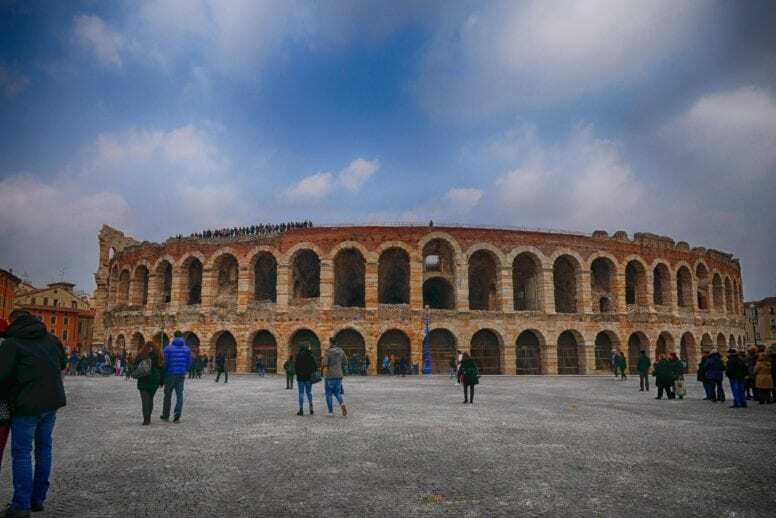 Verona – one of the most beautiful Italian cities, although located a little farther away, can also make a perfect day trip. A day in the city of Romeo and Juliet will be filled with breathtaking historical sites, amazing views, and delicious local food. 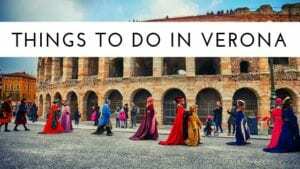 Read our article about the best things to do in Verona in order to make the most of your time in this romantic city. As you can see when it comes to planning a day trip from Milan, there are many interesting options available. Depending on how much time you have, you can visit just one or all of them – whatever you do, we’re sure you’re going to have an incredible time. No matter if you’re into history or not visiting the Archeological Museum or Civico Museo Archeologico di Milano (in Italian) comes highly recommended on our list of things to do in Milan. After all, it’s not every day that you get a chance to admire centuries-old artifacts, some of which as old as 500 years BC. Thanks to the permanent and temporary exhibitions you will learn so much about Milan’s ancient history with entire sections dedicated to the Roman remains, to the Etruscan civilization and to ancient Greece as well. We recommend spending a few hours in this museum and taking your time to appreciate the unique objects on display. Thanks to its central position the Archeological Museum can be easily reached by public transport. Corso Como is the most famous pedestrian street in Milan and one of the best locations in the city for a fun night out. Filled with bars, restaurants and nightclubs, Corso Como is ideal for enjoying the traditional Milanese aperitivo – a pre-dinner drink that generally happens between 7 pm and 9 pm. Like everything else related to food and drinks, Italians take their aperitivo very seriously. What you can expect are amazing cocktails or high-quality wine together with a choice of delicious finger food but often also pasta, pizza, and other local delicacies. Having an aperitivo in Corso Como is the best way to kick off your night out in Milan, make friends with talkative and friendly locals and practice your Italian at the same time. Here are the top events in Milan for 2019 that you shouldn’t miss when visiting this wonderful city. I’ll be saving this list! I seriously need to visit Milan very soon! I lived in Milan a few years ago and still miss this cool city. Galleria Vittorio Emanuele looks beautiful! Where is it located exactly? I’d love to see it when I’m visiting Milan next month. it’s quite easy to reach Galleria Vittorio Emanuele II, since it’s located right next to Piazza del Duomo (where the cathedral is). Also if you arrive from Teatro alla Scala you’ll find it right in front of you. There are lovely luxurious shops in it together with coffee shops and the famous mosaic bull is locate there too. Enjoy your holiday in Milan!